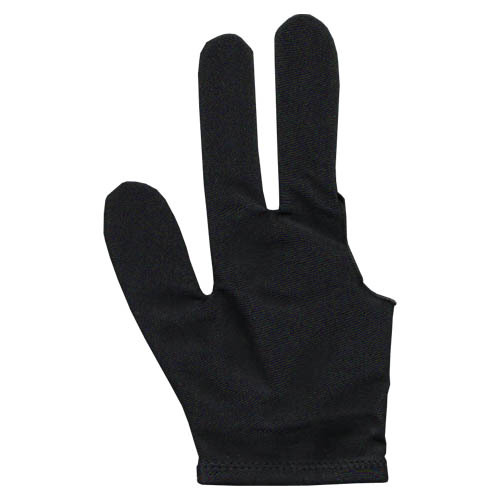 The Sterling Billiard Glove is a high-quality pool player's glove. It is made to help the cue slide smoothly and accurately over the pool player's bridge hand. There is less friction between the pool cue and the billiard glove than there would be without a glove. Reducing this friction will make your stroke more consistent and accurate. The glove fully covers your thumb, index finger, and middle finger. It slips on, and is highly elastic, ensuring a good fit. It is available in a variety of colors, and one size fits all. Left-handed? No problem! This glove is reversible.